Penny’s name isn’t actually Penny Dreadful. The ‘Dreadful’ bit is her dad’s idea of a JOKE. But she absolutely doesn’t see the funny side! After all, it’s not her fault that sometimes her BRILLIANT ideas don’t work out completely brilliantly. Like, she didn’t mean for her cousin to end up bald and covered in superglue. She also didn’t mean to steal their neighbour’s dog and make him speak Russian! 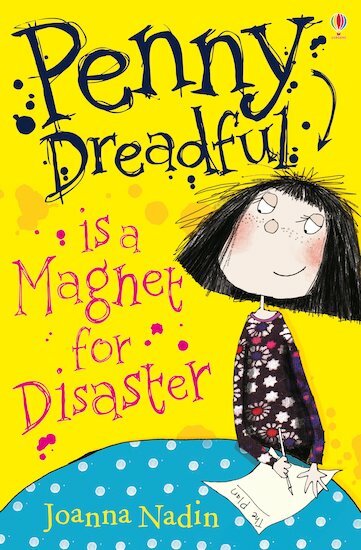 Penelope just can’t help it – she’s a magnet for disaster! A hilarious caper for younger readers from acclaimed comic writer Joanna Nadin. NC1600L Lexiles are the global standard in reading assessment. They are unique as they are able to measure a child and a book on the same scale – ensuring the right book gets to the right child at the right time.